The NFL’s stupid pizza wars have, at last, come to their natural conclusion. 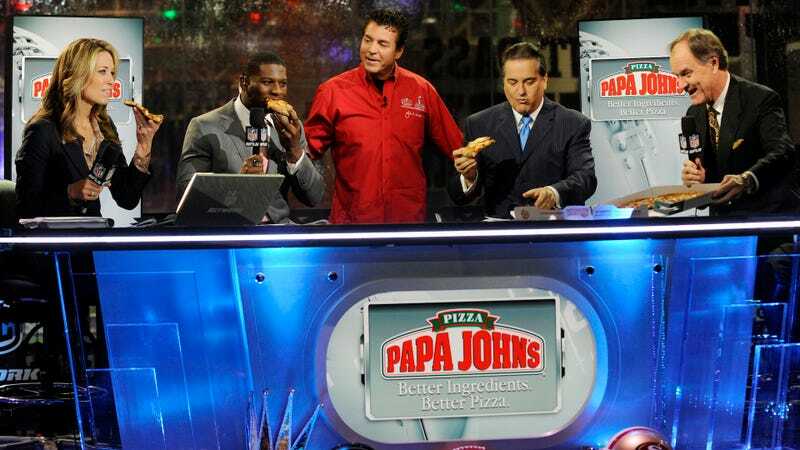 Almost four months after Papa “John” Schnatter declared that partnering with the NFL had cost his pizza business because of peaceful player protests during the national anthem—an announcement that was followed by speculation that Dallas Cowboys owner Jerry Jones had put Schnatter up to this, as a way of sticking it to commissioner Roger Goodell—the league’s pizza partnership is no more. Papa John’s will still be tied to 22 teams individually, but the brand is no longer the official pizza of the league and cannot use the NFL shield. Who will step in to take the role? One can only hope that it’ll be a brand that’s just as committed to working with the players while bravely flipping off neo-Nazis.